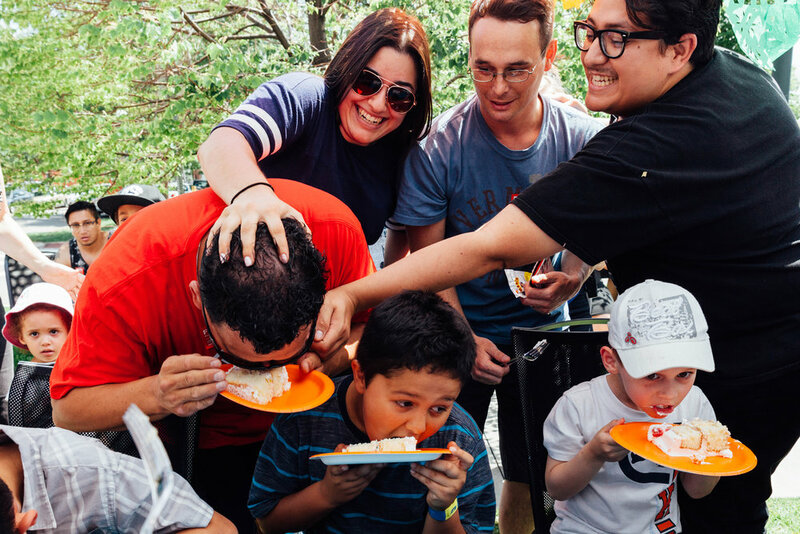 "Family Fiesta" is a performance with Justin Favela, his family, food, drinks and music in an outdoor setting. 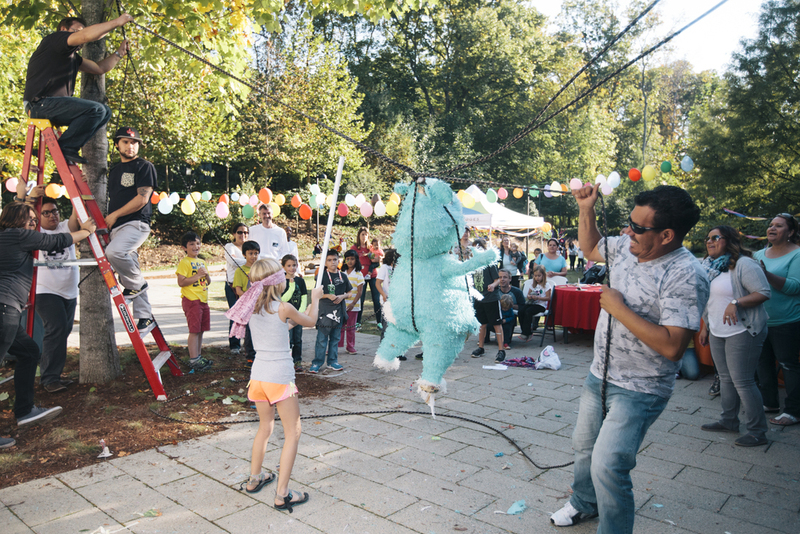 The public is encouraged to participate in the celebration first hand by engaging in games, dances, music, cuisine and piñata time. 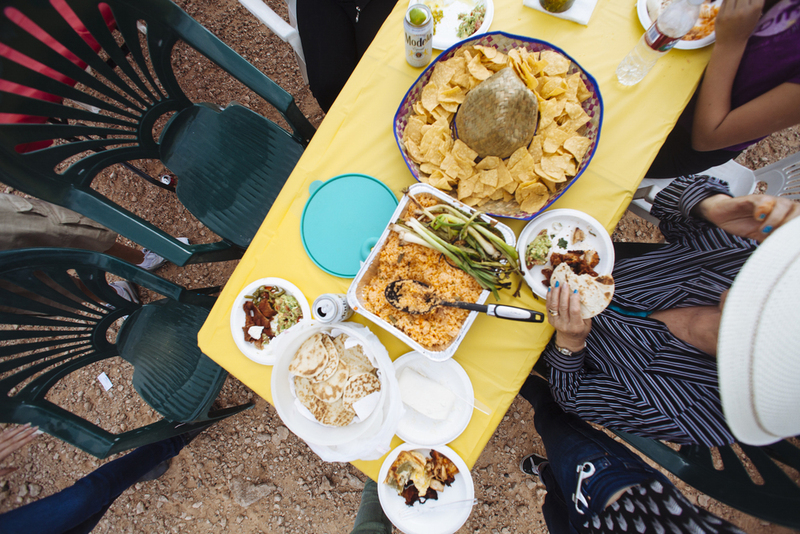 In "Family Fiesta" the event is taken out of its traditional context (A cookout in a backyard or a park) to unconventional locations seeking to highlight people’s expectations of a fiesta, and at the same time, dismantling notions of location and institutional inclusion. 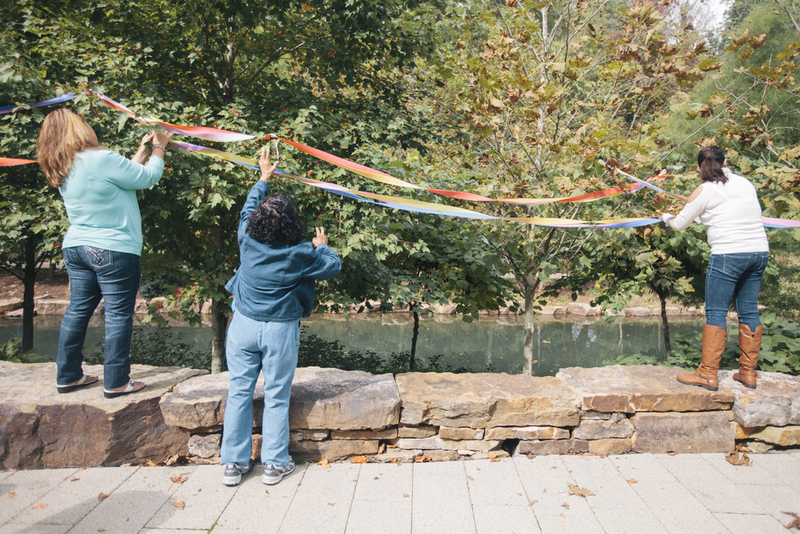 Located in beautiful Bentonville, Arkansas, Crystal Bridges Museum of American Art was the host of the inaugural "Family Fiesta" performance. 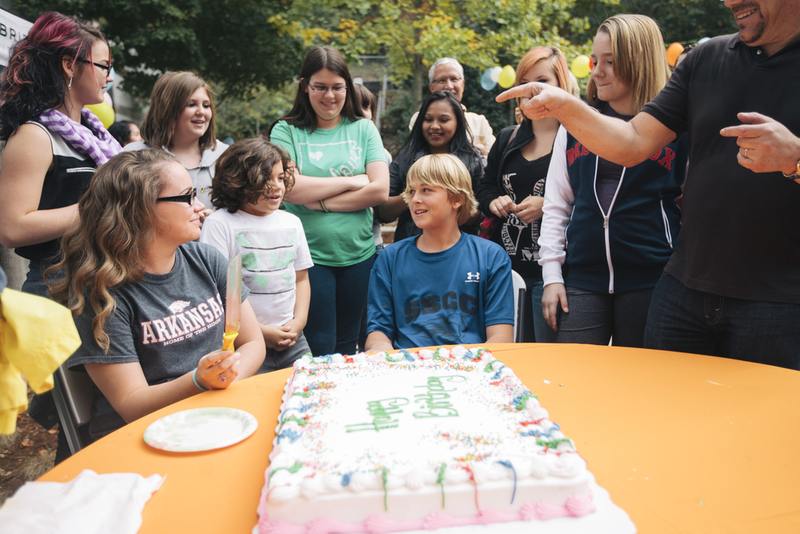 Visitors entering the Museum were greeted by a full on birthday bash. 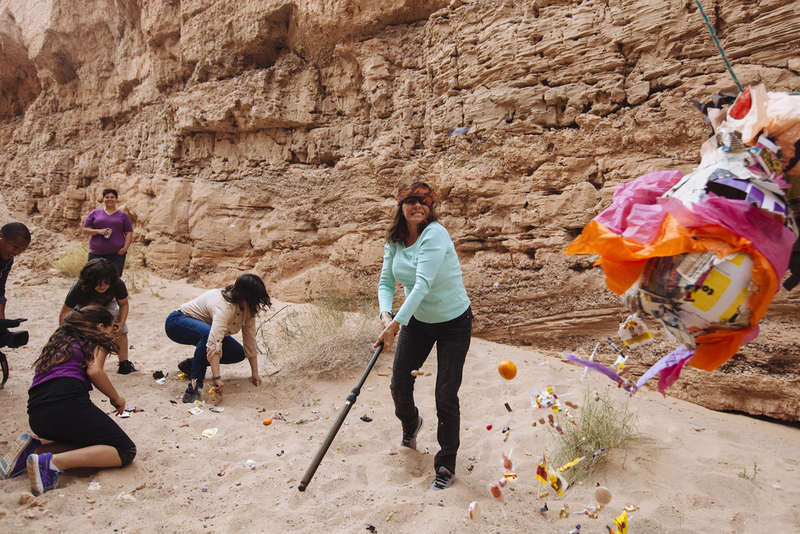 My family's cake and piñata rituals were the highlight of this performance. Cake and candy for everyone. Press: Peterson, Kristen. 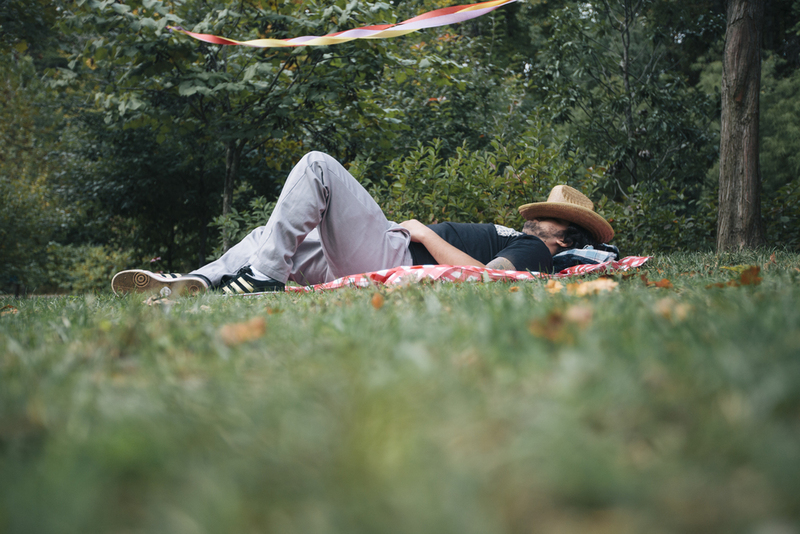 "The Birthday Party Machine: Justin Favela's Arkansas Fiesta." Las Vegas Weekly. Oct 22, 2014. Given its art-historical and institutional significance, Michael Heizer's Double Negative was the perfect location for "Family Fiesta." It is a man-made outdoor location, with plenty of shade, places to sit, and great acoustics for banda music that begged for a party. Re-contextualizing this space made "Family Fiesta: Double Negative" a celebration to remember or forget. 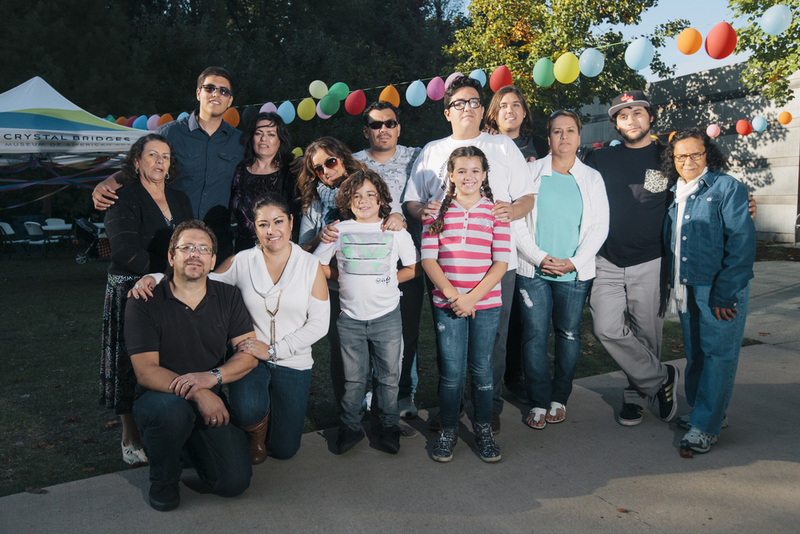 Museum visitors joined Justin Favela and his family in a public celebration featuring his family’s traditions. 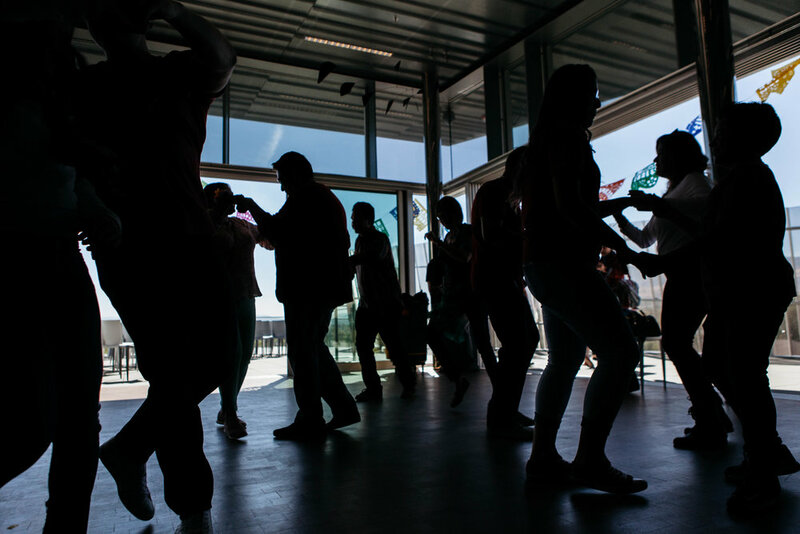 Guests enjoyed live music performed by the RPA Youth Mariachi Band, a taco buffet, a piñata, cake and art activities in an interactive family-friendly party as part of Favela’s performance “Family Fiesta” on the rooftop of the Nevada Museum of Art. 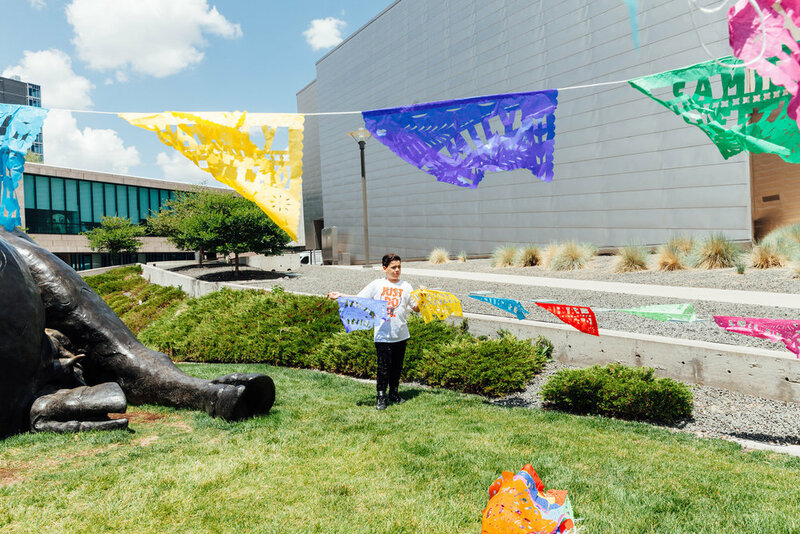 Guests visiting the Denver Art Museum during Free First Saturday had the opportunity to be part of “Family Fiesta” hosted by Mi Tierra artist Justin Favela. The performance consisted of the artist’s family, food, drinks, and music. 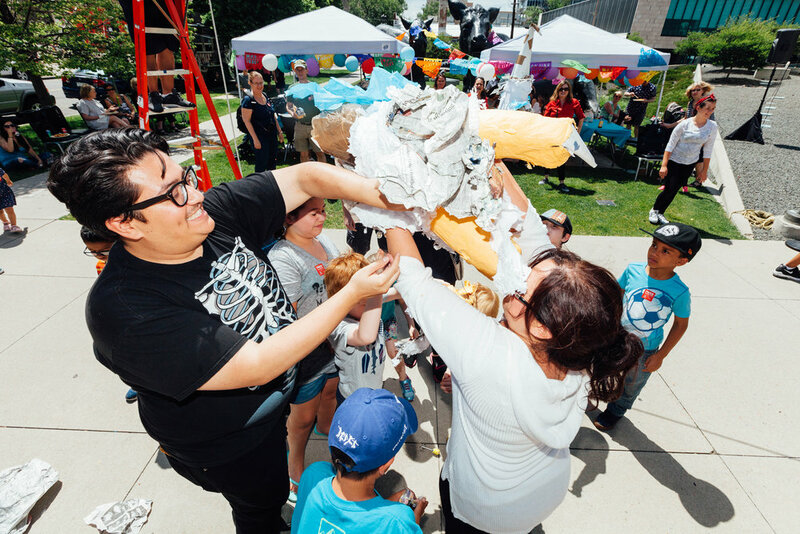 In this performance, the public was encouraged to participate in the celebration firsthand by engaging in games, dances, music, cuisine, and piñata time—all put on by Justin and his family.